Here I am again, Modge Podging another purse! 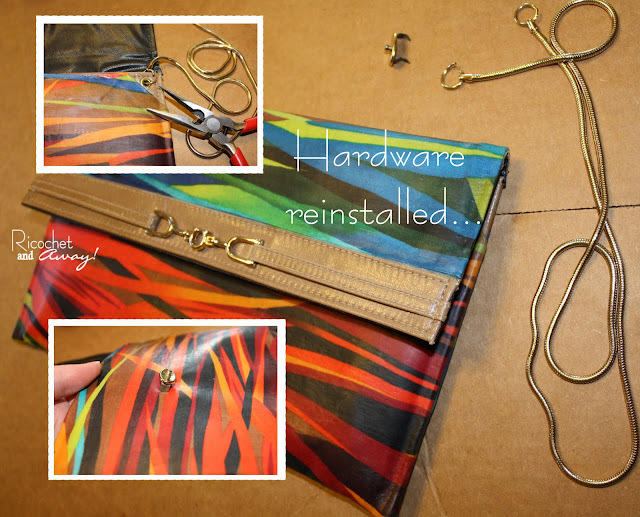 Since my initial wallet upcycle tutorial, I have been scouring the thrift stores and garage sales for another wallet to decoupage. I found this little envelope-style purse at a garage sale last Sunday. The design was simple enough, no tricky angles or curved edges. A perfect candidate for upcycling! Before I could get out the Modge Podge, I removed the magnetic clasp from the front. 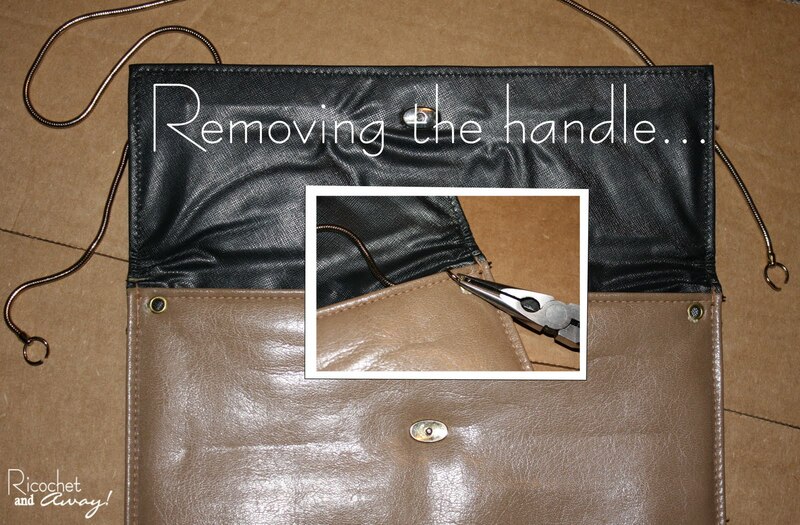 I used a razor to cut a slit in the lining and unbend the prongs. I haven't yet, but I WILL close up the slit by decoupaging a little patch over it. I got out my little needle nose pliers, opened up the jump rings, and removed the chain handle as well. I used the same decoupage techniques I used in my previous wallet tutorial with a few little exceptions. First, I put masking tape over the edge of the flap so I wouldn't mess it up. 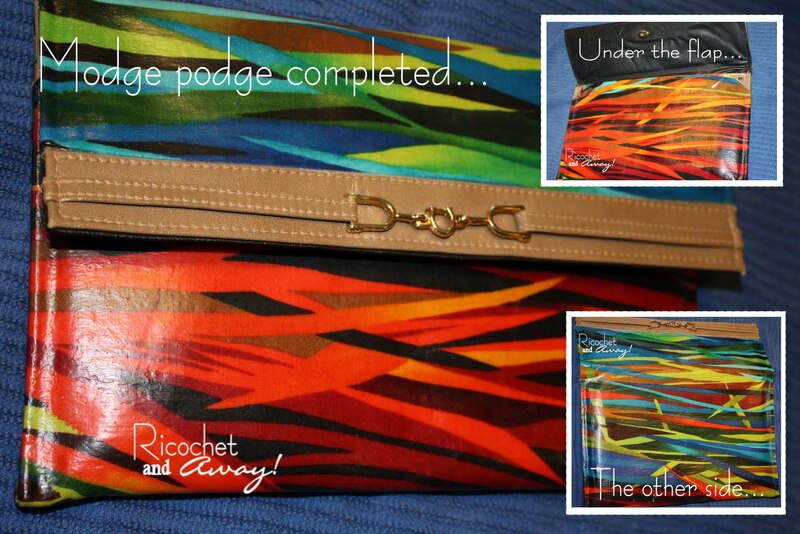 I'm wishing I did that to the metal frame on the wallet I did. so I just didn't cover it up. It's under the flap anyway, no one will see it, so who cares? 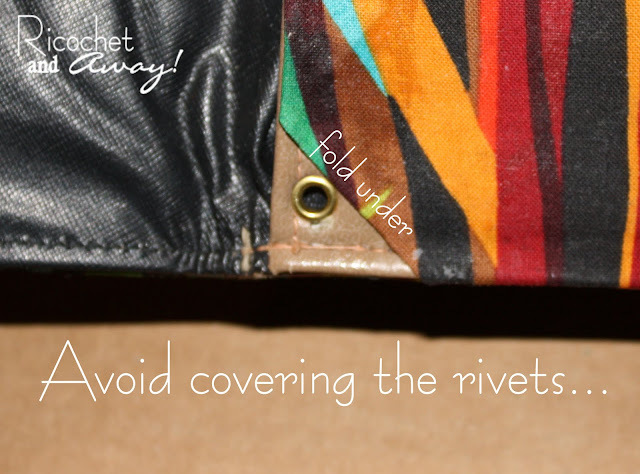 the folded edge of the back fabric. Hopefully, you can see what I mean by the picture up there. 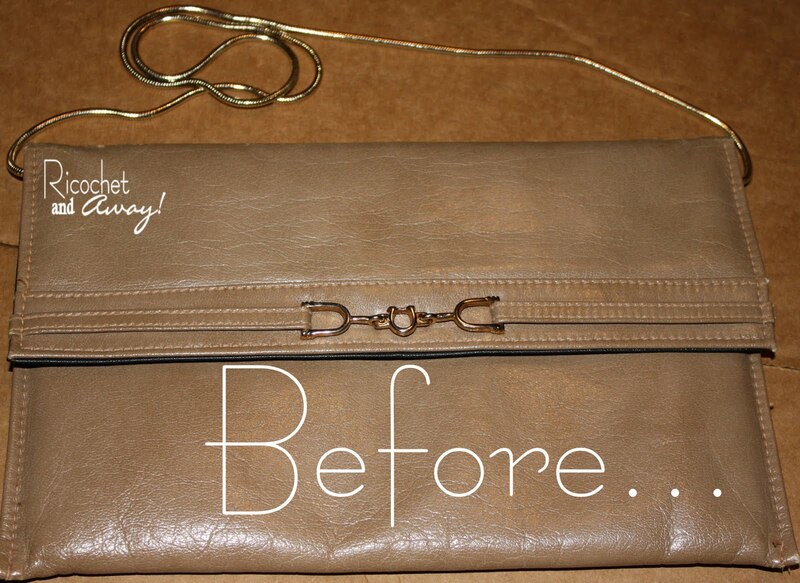 Three coats of Modge Podge later and my purse is nearly done! One tip I could give you about the decoupaging process is: if you are decoupaging something that will be bending or folding, you need to let it dry in the bent/folded position. 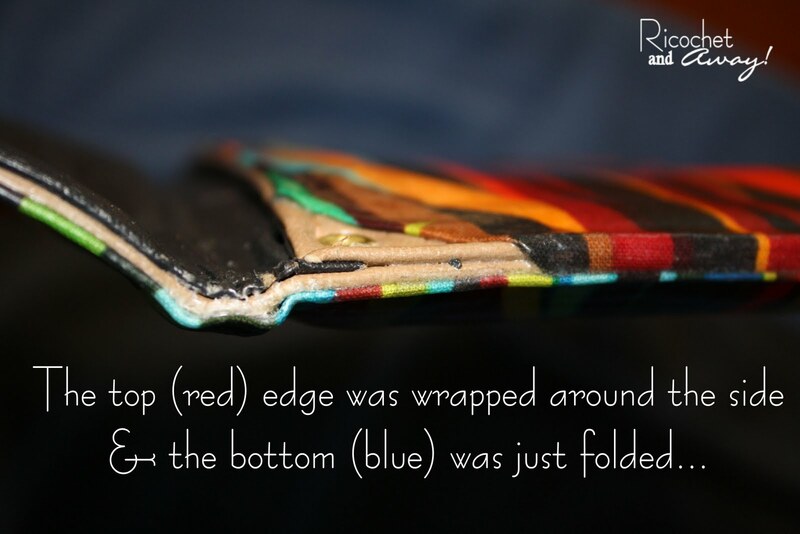 For example, I had to make sure the flap was down while it was drying so it would lay flat and not crack at the fold. Sanding out the brush marks and scratches is an optional step. 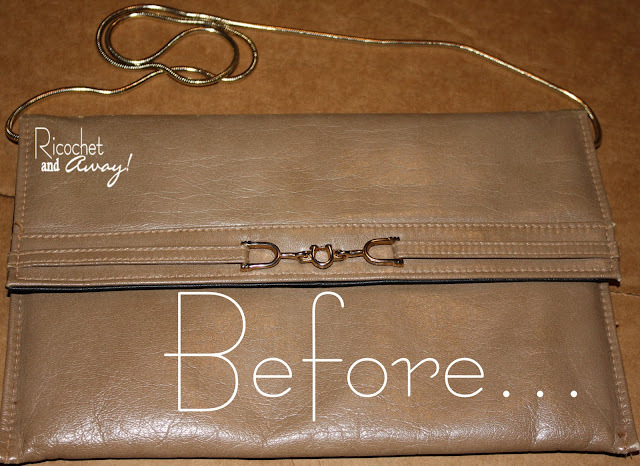 I liked the way it improved the texture of my wallet, so I chose to take the time to sand down this purse as well. First, I used a 280 fine grit sand paper to take out the bigger grooves. Then, I did a wet sand with steel wool (0000 fine). Now, don't freak out, wet sanding will make the surface all milky colored, but don't worry because it'll dry nice and clear. One thing that I forgot to do is let it dry with the flap folded down. You can see from the pic that I got a crack when I tried to bend it later. Don't make the same mistake! The last step was re-installing the hardware. I had to cut some tiny slits with the razor to re-insert the magnetic clasp. Not too hard. I couldn't realign the jump rings as neatly as they were originally, but I managed to get the handle re-attached. And so ends another Modge Podge Upcycling tute! PLEASE comment and let me know what you think. I'd love to hear from you! I'd like to end this by saying that I was inspired to do all this decoupaging by a beautiful tutorial posted by Jen from the blog, Scissors & Spatulas. 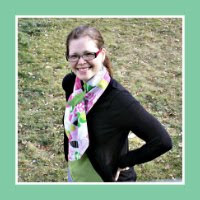 Please check out her blog and send her some love! What a cool upcycle! And brilliant photos to show how you did it too! I love the bright colours! A GREAT re-do. Bright and environmental friendly. Thanks for the detail pictures. Great idea! 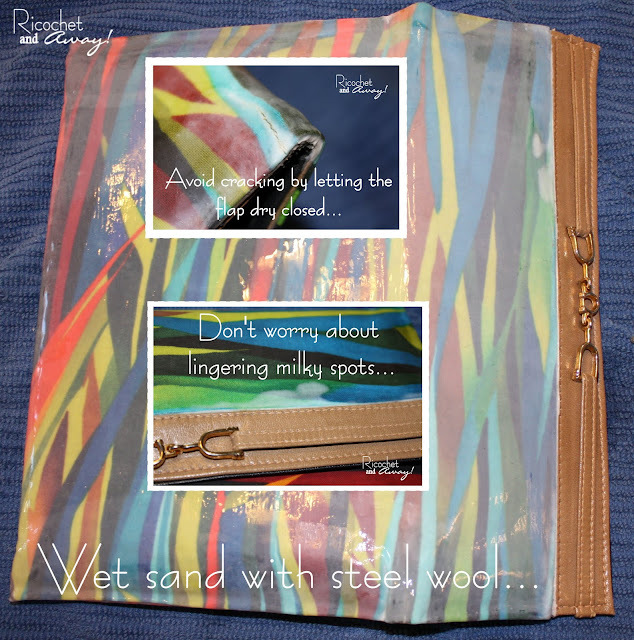 Mod Podge is one of the best tools ever. :) Turned out great. Thanks for taking the time to check out this tute and leave your thoughts! I'm excited to check out your creative spaces as well! This looks so neat! 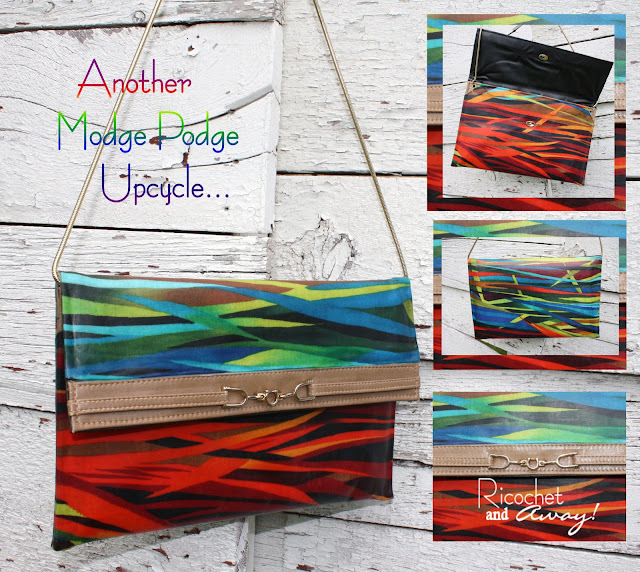 It's just amazing what you can do with Mod-Podge! Wow, I would have never have guessed it was mod-podge when I clicked on the link from round-tut! Looks great. Sometimes I think I've seen everything artistic and creative that there is to see in Blogland, then I run across something genius like this! What a great, great, great idea! I'm your newest follower; #16. PJ, thanks so much for checking out my blog! I really enjoyed reading your last 3 posts and want to just go back to the beginning and start from there! I'm your newest follower. 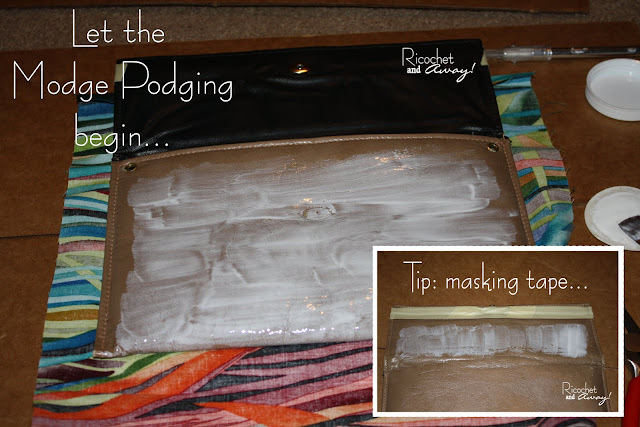 Wow, the power of mod-podge! Amazing! That is so awesome! 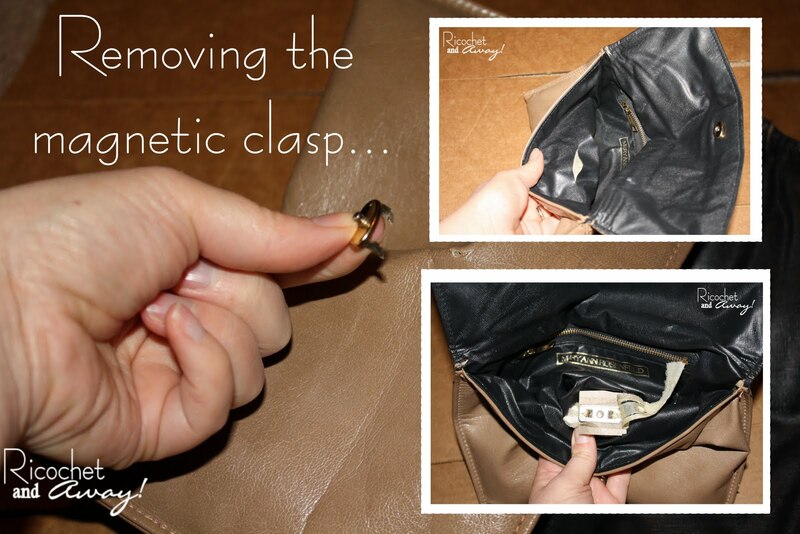 I am a purse fanatic so being able to upcycle my own purse would save me soooo much cash! I am going to have to tour my closet to see if I can copy this! I love the style of this bag too. Very chic! 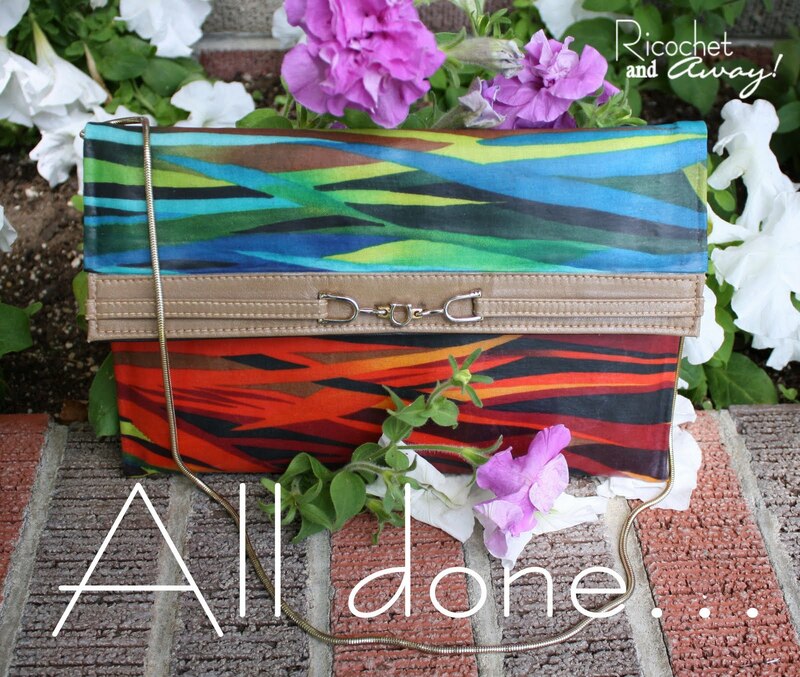 I really hope you can find a purse to upcycle! Stray away from things with curved edges and save yourself some headache. Also, let me know how it turns out, pls. 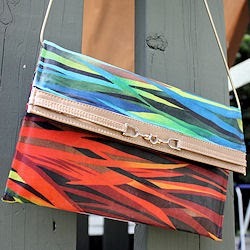 I love the style of this purse as well. If the hardware was silver instead of gold, I'd love it even more! Thanks for stopping by and don't be a stranger! Sweet purse! I love the fabric--do you happen to remember where you bought it? What a great upcycle project. Going to share with the Blue Velvet Chair community on FB...they just love upcycled and recyled projects! beautiful! never would have thought to do that! it looks amazing. Hi Sue! I'm proud to say that this purse is still holding up nicely and I've been using it since July.